Could not have asked for a better guide. Lilian is highly competent, very knowledgeable, and a pleasure to be with. We were a party of four and unanimous in our regards! TOUR GUIDE RESPONSE: You are great people... Thank tou very much for the visit, for the rating and for the amazing moments!!! Lilian is one of the best guides and nicest people I have ever had the good fortune to meet .She really had to do a great deal of driving to enable us to see both the Brazilian and Argentinian sides of the falls but she always had a smile on her face and she shared with us her extensive knowledge of this beautiful natural wonder. Lilian is a very open person and can answer a lot of questions. TOUR GUIDE RESPONSE: I'm so sorry Nora, I hope you could enjoy the tour, the falls, the nature that is really amazing, I really wasn't in my best day as a companion but tried my best, that for sure it wasn't my best. I apologize. And wish you the best of the best... Have a great Carnival!!!! Lilian was very knowlegable and took very good care of us. We had an issue because of a disturbance in Argentina near the border. Lilian changed the schedule to make sure thay we did not experience any long delays at the border. TOUR GUIDE RESPONSE: Hi Roger. Thank you very much for the visit...was amazing be with you here!!! Lilian is great - and extremely patient! So much time to cross into Brazil but SO worth it. Her knowledge of the Falls, where and when to start, catch the train, places to eat, saved us probably hours of waiting in lines. I definitely recommend spending two days at the Falls to experience both the Brazilian and Argentine sides - so very different. Thanks again for an unforgettable two days! TOUR GUIDE RESPONSE: Thank you Reid, it was a pleasure take you around!!! Hello Lilian, We just got back from our South America trip 2 weeks ago and have been busy catching up with stuffs. Thank you for being our guide on the Iguazu tour. Our tour of both the falls in the Brazilian and Argentinian are breathtaking. You are so accommodating and also thanks for taking us to the dinner show featuring many dances from South America. You are the best and don't forget to wear my lucky baseball cap! TOUR GUIDE RESPONSE: Hey, Cindra, hope you are feeling much better now though. I had a very nice New Year eve time.. And wish you the best... Not forgeting to wear your, (mine now) basaball cap.. Was a wonderfull time with all you over here. Send my big hug for all the group!!! Great tour saw all the sights and also some excellent shopping. We have a group of 30 something people taking South America Cruise Trip and need excursion to see Iguazu Falls. With different schedule from some people, our travel plan kept changing. Lilian was very patient and easy to work with. She set the itinerary to suit everyone's need. I strongly recommend Lilian if you are going to Iguazu. TOUR GUIDE RESPONSE: Thank you very much Tracy, it was amazing be with you here. TOUR GUIDE RESPONSE: Was amazing spend the time with you!!! Hope you had good return!!! There was some confusion on when and where we were to be picked up. Travelers who stay at the Belmond Hotel should know that outside guides typically cannot pick up clients at the Hotel; the travelers must take a hotel shuttle to the National Park gate and meet guides there. (The Hotel can book tours that do not have this limitation.) Other than that, Lilian provided a good experience. Lilian was great! Super friendly and knew her way around both sides of the falls. It was so worth doing both sides and she fit everything into our short timeframe perfectly! And she is a brilliant photographer and we have so many incredible photos of us that we love! TOUR GUIDE RESPONSE: You are Welcome Tajlia. It was big pleasure take you around. Happy New Year!!! Lilian was great! Very friendly and knowledgeable. Went out of her way to help me find some local honey, too. The falls are unbelievable - I don't need to see another waterfall now. Ever! TOUR GUIDE RESPONSE: Thank you very much Mr. Foster, hope you had found the Jatai Honey!!! Lilian is a great guide. I spent 3 days in Iguazu Falls and every second of it was fantastic. I would absolutely contact her again if I ever make it to the falls again (which I would love to). Lilian was a very considerate guide. She gave us options in planning our days and allowed us to take our own pace. She didn't join us for all of the walking due to a recent injury however when she did accompany us, provided us with interesting information about the falls and wildlife (bird in particular)! Lilian always communicated with us promptly when planning our trip and made suggestions about which side of the falls to see first. TOUR GUIDE RESPONSE: Thank You Lucy, was a big pleasure being with you here! Lilian picked us up on time at the airport. During the tour she was educational, chatty and funny. We had made a couple of special requests to alter the tour for time and she bent over backwards to help us out and still see to it that we saw the falls in all its glory. I would highly recommend choosing Lilian for your tour guide. TOUR GUIDE RESPONSE: Thank you very much Jim!!! I would highly recommend Lilian as a guide for the Iguzu Falls. Lilian picked myself and my husband up from the airport as planned. We visited the falls on both the Argentinan and Brazil sides and went to 3 corners in Argentina. Lilian responded quickly to any texts and is a lovely person, very relaxed and easy to talk to with good English. We thoroughly enjoyed our day at the falls. Lilian was excellent, on time at airport. Very friendly and knows the tour. Super day. TOUR GUIDE RESPONSE: Thank you very much for the visit!!! Thank you, Lilian, for giving us exactly the tour we wanted, including a modification halfway through. I enjoyed Lilian's guidance very much. Linda is kind, polite and has wide knowledge about the Iguazu area. Her explanations are right in size. This means supplying enough information on one hand, and not flooding the listener with extra information on the other hand. Her fluency in English makes hearing her very pleasant to a non-Portuguese speaking visitor, and her assistance in getting around makes the visit very efficient. TOUR GUIDE RESPONSE: Thank you for the visit, was amazing be with you!!!! Lilian is an excellent guide, smoothing our way through the various immigration controls necessary to the Falls at their best. Even on busy days she saw us through with the minimum of delay. Lilian was absolutely great. She took fantastic care of us on our very short visit to Iguazu Falls, ensuring we experienced both the Argentinian and the Brazilian sides. Her correspondence with us as we planned our trip was excellent. Book with Lilian - you won't be disappointed ! Lilian Regina is a top-notch professional and should be requested by name when visiting Iguazu on the Brazilian and/or the Argentinian side. Knowledgeable. Affable. Helpful. Delightful person to spend your visit with. Não temos palavras para descrever toda assistência e apoio fornecido por Lilian Regina. Ela adaptou a agenda de acordo com nossa necessidade o que nos proporcionou uma experiência única e fantástica. Recomendo!!!! And we would want her as our guide again when we return. ���� Thanks Lilian!! Lilian was a great guide. She met 3 of us on time in the hotel lobby. She filled out the paperwork for our visit from Brazil to AR side of the falls. She helped arrange for the boat ride which was a lot of fun. We walked and took the train and she knew how to move through the park so we made the most of our time. She explained the different locations, views and animals. We saw, spiders, orchards, monkey and coati. She also was accommodating with her time as we left the park later than expected. TOUR GUIDE RESPONSE: Thank you Joyce!!! It was a big pleasure to be with you!! The most important is that you enjoy the tour...these make me very happy!!! Have a great one!!! Lilian was an excellent guide for both the Brazilian and Argentinian side of the Iguazu Falls. She arrived promptly at my B & B to pick me up (a little too promptly as she forgot she was on Brazilian time), showed me the best places to stand for photos, was able to get great shots for me with my camera, got me past long lines, and suggested good places for lunch on both days that I was with her. A very pleasant and interesting person with whom to spend the day. Lilian made it easy for us to enjoy our day out at the Falls. Lilian was a delightful guide. We achieved all our objectives in a friendly and very efficient manner. My sister and I had a wonderful time on our 2 day tour with Lillian. She customized a tour of Iguazu Falls and we were able to see everything we wanted to see in Brazil, Argentina & Paraguay. Lilian was not able to guide us, but she made sure we were taken care of well by a friend tour guide who was leaving for vacation herself the next day and took time with us to show us everything we wanted to do at Iguazu Falls. She helped us book a boat ride for later and gave us tips for things to do on our own. We planned to go to the Brazilian side, but had not gotten a visa, so we were not able to go. Lilian refunded a portion of the cost even though it was our fault. We highly recommend this tour. Lilian was great. Our whole time at Iguassu was seamless thanks to her. If you do not know Portuguese in Brazil, getting by can get tough in Brazil. She ensured that we had a good time and took back wonderful memories. Thanks Lilian. Lilian was a very good guide, punctual, accommodating, polite. We thoroughly enjoyed touring the Brazilian side of Iguazu Falls with her. A last minute flight cancellation meant that I did not get to Iguazu until the afternoon instead of the morning. Lilian was terrific because after turning up at the hotel at our agreed time, only to be told I wasn't there, she worked out what flight I had to be on and then met me at the airport. Great customer service. Her love of her "office" was reflected in the pride she took in showing me around the Falls and making my tour of this amazing area even more special. Thanks Lilian. Excellent experience! Extremely accommodating to our changing needs and desires. Speaks perfect English, yet was very patient with my bumbling Portuguese. Highly recommended! TOUR GUIDE RESPONSE: Ohhh You are amazing people!! Loved to be with you!!! And Thank you very much for the recomendation! Lilian Regina gave us a very informative tour of Iguazu Falls. We were able to navigate the pathways at an easy pace and she was able to help us make it through the crowded areas, especially the train stations. Lillian is an extremely competent and very gracious guide. Her communication skills and local knowledge are excellent! She's great company and very obliging. We had a really special day visiting both sides of Iguazu Falls we will never forget! Thanks Lillian for making this incredible experience so fun and memorable! I would highly recommend this amazing guide to anyone! Denise & George from Australia. TOUR GUIDE RESPONSE: wow!!! Thank you very much Denise, your visit was memorable ... you and George are amazing people, I loved to spend the day with you and I wish you a wonderful life!!! Lilian is great and very flexible- ensured that we got to see and experienced everything we wanted despite our late arrival due to flight cancellation. All our requests were met and she even used a bigger car to accommodate our big bags. All in , a very enjoyable trip with Lilian- would recommend her!!! TOUR GUIDE RESPONSE: Thank You very much Fc Loo, was amazing to receive you here, and I feel happy, since I make your expectations be what has to be! Have a great Life!!! Lilian was so wonderful! Easy going, knowledgeable, and helpful above and beyond my expectations. I would highly recommend spending time with her if you are near Iguassu! TOUR GUIDE RESPONSE: Thank You Nancy, for the visit, and if you need something don't exitate to contact me!!! Was a wonderful day!!! Lilian es una guía esencial para tu viaje. La recomiendo muchísimo, no hubiera sido igual nuestra visita sin su conocimiento y recomendaciones. TOUR GUIDE RESPONSE: Muchissimas gracias por la visita Federico y Cris, fué un gran placer estar con ustedes. Y regresen con sus amigos y familiares!!! Besos!!! TOUR GUIDE RESPONSE: Hey Charles!!! Hope you had a great time in Asuncion and everything worked well.. It was amazing receiving you here... Now I will wait for the family!!! Greatings from Brazil!!! Lilian was great at adjusting to our needs. When one of us developed a need for a wheelchair. She was able to obtain one in both Brazil and Argentina. Her flexibility is appreciated. TOUR GUIDE RESPONSE: You are great!!! Thank you very much for the visit!!! Big Hug!!! Lilian provided an excellent tour of the Argentinian side of Iguazu Falls. She is very knowledgable and informative on all aspects of a visit here. She is efficient and made recommendations on the best time of day to visit, and on the boat trip I probably would have missed, given the lower circuit was closed. She has a keen eye for birds and the flora of this beautiful park. I would highly recommend her as a very accomplished local guide. TOUR GUIDE RESPONSE: Thank you John, it was really an amazing day! Lilian was awesome. She kept us alive with local history as well as out of the ordinary local spots. Her dinner restaurant pick was outstanding and her love of tour guiding is obvious. She picked us up on time and delivered us back on time. She is a real gem and we highly recommend her. Excellent guide ! We had a great day thanks to Lilian ! She really does her best to meet your expectations. Very flexible. Good explanations. TOUR GUIDE RESPONSE: Many Thanks Mrs Anne and Simone for the visit, could't be better since they have an open heart to receive all the best! This was a really great tour of the Argentinian side of the falls and well worth it. Lilian is a great guide, very knowledgable and always eager to provide as much detail as possible.Also I liked that she keeps the trip route flexible; we came up with a high level route as we got at the park. The time for the trip is pretty spot on depending on the size of your group and how busy the park is. As a final note I recommend going to the in park restaurant at the end as the food options are quite varied. TOUR GUIDE RESPONSE: Thank you Mr. & Mrs. Kagan, it was a big pleasure to take you around. And I wish you a good life and a wonderful journey! Lilian was a wonderful host for our abbreviated 1.5 days in Iguazu. Due to a strike in transit, our arrival was delayed and Lilian worked with us constantly to adjust our adventure and maximize the time we had available. Her English is excellent. As she discovered the interests of our children she adapted her descriptions to highlight those aspects (our son is an insect nut and Lilian took extra effort to point out unique insects and bee hives we never would have spotted). Thanks for a wonderful tour! TOUR GUIDE RESPONSE: Thank you very much for the visit you were an amazing family, the kids lovely.. I'm so happy, when you are satisfied with the service. Lilian was an excellent guide who accommodated to our needs and requests. She was very knowledgeable with respect to the falls and the local area. 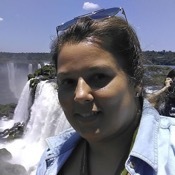 I would recommend her for a family or small group that wants to use the time wisely and see Iguazu falls, Itaipu dam and other great attractions and shows. TOUR GUIDE RESPONSE: Thank You very much for this amazing family, was really a wonderful time with them and a lot of learning as well! We very much appreciated her expertise. She is a very competent guide who increased our enjoyment of the trip. We confidently recommend her. TOUR GUIDE RESPONSE: Thank you very much. It was a big pleasure to be with you. Enjoy your journey!!! Lillian is very pleasant with good English. She was very flexible with changes due to weather and I forgot a Brazil visa. She was always on time or early and constantly smiling. My wife and I had an enjoyable visit. Many thanks Lillian. TOUR GUIDE RESPONSE: Was really nice to be with you, unfortunatly some of the tours were not possible to do by weather. Have a great time in Argentina! TOUR GUIDE RESPONSE: Mr & Mrs Radich, it was really amazing to be with you and show a little of this place around, thank you very much for the feedback! TOUR GUIDE RESPONSE: Thank you very much for the recommendation, was really nice to spend a wonderful day with you!!! Lilian was a great guide for us. Very helpful, prompt, courteous, and knowledgeable. We enjoyed our time with her very much. Lilian proved a great guide and was most pleasant to deal with. She needed to change our schedule to accommodate some personal needs but we were happy to do this and it proved a better option as we spread the visit to the Falls over 2 days. Lilian was always on time and went the extra mile to ensure we had a great time. TOUR GUIDE RESPONSE: Thank you very much for the feedback, it was a wonderful time!!! Missing you! Hope you had a great time in all your trip! Lillian was an amazing tour guide. She was attentive and went above and beyond to ensure that everything was taken care of. She even got our boarding passes for our flight home ahead of time which meant more time at the pool for us! Her English is excellent. I would highly recommend Lillian to anyone travelling to Iguassu Falls. thank you! TOUR GUIDE RESPONSE: Thank you very much for the recommendation. I even more happy when you get happy... Hope all you got home well. Send my big hug to the amazing Kids - Taz and Ciel!!! TOUR GUIDE RESPONSE: This couple are amazing people. Was a big pleasure to be with you and I always say, what make me Happy is to know that you got Happy!!! Thank You very much! Lilian was thoroughly professional and made Iguassu Falls even more enjoyable. Her suggestions on our questions on potential itinerary were on target and very helpful. She was very knowledgeable on the Falls and the surrounding area, as well as a broader scope of Brazil, Argentina and Paraguay history and geopolitics. She demonstrated great flexibility and adaptability in offering viable suggestions for alternatives. We would highly recommend her to fellow travelers. TOUR GUIDE RESPONSE: Thank You Larry, it is so nice to receive such a good comment and recomendation, hope you had a wonderful time on your way back!!! Plane from Buenos Aires was substantially late and it was a great pleasure and relief to see our guide holding up her sign with our name on it when we arrived. For return flight, on her own initiative she contacted the airline and reconfirmed the departure time which was later than originally scheduled. Nice touch. TOUR GUIDE RESPONSE: Was a big pleasure to meet you!!! I get happy when my guests get satisfied with the service!!! Thank you very much!!! Lilian was our guide for an almost impossible trip of 3 hours at Iguassu Falls We never expected to see so much of the falls in that time..but Lilian's program was super. She is a guide 5 out of 5. Thanks Lilian for an spectacular experience of our life. TOUR GUIDE RESPONSE: I'm so happy, cause we could do it, and you were satisfied. That is the most important, thank's for the trust and to take a time to visit this amazing place! TOUR GUIDE RESPONSE: It was a wonderful time! TOUR GUIDE RESPONSE: Thank you very much for your visit... Was a great time!!! Great days in Iguassu. Lilian really knows how to adjust the tour to the needs and wishes of the participants. Even changes to the itinerary at short notice were made possible. Obviously Lilian is very well connected and always prepared to go the extra mile to make things happen! Lilian delivered the exact services we were looking for. She was very reliable, very punctual, and extremely kind and knowledgeable. During our tour to see the breath-taking taking Iguassu Falls, she gave us several options of what we could do at surrounding locations. We thoroughly enjoyed viewing the bird park, taking a helicopter ride over the falls (which I highly recommend), walking alongside the Brazilian side of the falls, and seeing a dinner show in the evening. I'd recommend her to anyone! TOUR GUIDE RESPONSE: Thank you very much Karie, it was an amazing time that we spend here in Iguassu. And I feel so happy, cause I could make you happy!!! We had a wonderful day with Lilian! She was so knowledgeable and displayed a true passion for the Falls! It enhanced our experience of this incredible place to be guided by a person who knows every detail of every view, and how to pace the day for the maximum enjoyment. Also, my friend and I had applied for Brazilian visas and due to an error, only he got his, so we had planned not to go. Lilian drove us to customs to get his Brazil visa validated so it would not be wasted and he could use it one day! TOUR GUIDE RESPONSE: Thank you very much!!! You were amazing people, with an open heart to feel the beauty of this place!!! And it was a big pleasure to me to have you here!!! Wish you a wonderful life...and hope to see you again in Brazil!!! Lillian expertly guided our family to visit both sides of the falls, the dam and the Aviary Park. She was attentive and supportive to our unique needs and an engaging informative host. We loved her relaxed informal style and so enjoyed her sense of humour. We highly recommend her services. Great experience! I can't imagine such a wonderful tour without Lilian. She is great. Highly recommended. TOUR GUIDE RESPONSE: Thank You Jorge!!! You have a good heart...you are one of the best person I have met!!! Have a wonderful Life!!! And I will wait for you when you come back to Iguassu!!! Lilian was available for the 3 days we were in Iguassu Falls, so we asked her to arrange tours for us. Over the 3 days we did a helicopter flight, walked at the Falls and across the famous catwalk, had a short jungle ride, then a boat ride across the rapids, we saw the Itaipu Dam and the Bird Park. She sorted a booking problem with the airline and ensured we were at the airport on time. We had a great time and would highly recommend Lilian. TOUR GUIDE RESPONSE: Thank You very much Mr Philip, it was a big pleasure for me have you and your wife here...Hope you had a wonderful time after Iguassu. TOURSBYLOCALS RESPONSE: The issue was brought up to the guide and her manager's attention and they are working on a plan to overcome those issues. TOUR GUIDE RESPONSE: Thank you Felice... It was amazing to have you here!!! Lilian is fantastic. She has enthusiasm, knowledge and genuine love of the Falls. The tour went at my own pace -- never felt rushed -- and she made sure I saw everything, on both the Brazilian and Argentine side over 1.5 days. She is completely fluent in English and with her wonderful personality allowed us for truly nice conversation about the Falls and the World. Highly recommend. TOUR GUIDE RESPONSE: Thank you, Daniel... It makes my day, when I know that I could do a good job, and make you happy!!! Your satisfaction is my happiness. Wish you a good time in São Paulo. Lilian was just great. She made all efforts to accomodate to our needs, she is a perfect guide for the Iguazu parks on both sides of the border - Argentina and Brazil. Highly recommended! TOUR GUIDE RESPONSE: Thank you very much! It was great to meet you here... We had just one day, and it was perfect! An awesome experience. A trip to the Iguassu Falls is a must visit, especially the Brazilian side if one is at Foz do Iguacu (based on experience of having visited the Argentina side as well). TOUR GUIDE RESPONSE: Thank you for the visit Huey Ling, it was a wonderful time!!! Lilian was punctual and presented well. We enjoyed the Iguazu Falls especially the Argentinan side. Lilian had planned our time on the Argentinan side and when we were forced to alter the itinerary due to the fact that we couldn't do the boat ride under the Falls till a later time shs made the necessary adjustment. Overall our time with Lilian was most enjoyable. Lillian was an excellent guide. Her personality made the visit very enjoyable. Her English skill is excellent. Her knowledge of the area was great. She provided a comfortable car and a good driver for our transportation. She did not disappoint us in any way. Thank you so much, Lilian. You are so knowlegable, thoughtful, perfectly organized. It was a pleasure to meet you and spend the long day full of amazing impressions. We highly recommend this tour to everybody who wants to discover fantastic nature of Iguazu and and learn more about people's life in the region. TOUR GUIDE RESPONSE: Thank You Mary!!! And all the friends, it was a enormous pleasure to me receive you here, and show all the places around.. Make you happy during your stay in Iguassu, really is my objective.. And I can tell you, when I feel that I could get it, of course I get more and more happy!!! By the way, I have to tell, that is so amazing meet people from different countries, and beside show about my place, I learn with them as well. Thank you for everything!!! I'm here to serve all my clients with my best!!! Lilian is warm, knowledgeable and able to fully converse in English. She arrived promptly for our long journey to Wanda Mines and San Ignacio Jesuits Ruins. She had arranged an Argentinian car and driver to minimise delays caused by multiple police checks. This attention to detail and ability to customise the on-foot routes to suit my wife’s limited walking ability made the 2nd tour to both sides of Iguazú Falls so enjoyable. The 3rd tour to Itaipu Dam was also very interesting. TOUR GUIDE RESPONSE: Oh Mr. and Ms. Prevett, it is so kind of you... I'm really happy, cause I could achieve my goal, that was make your trip the best, pay attention in all details to make your trip much easier and enjoyable. And of course with all the necessary information. It was wonderful all the moments we spent together!!! I had a great time with Lilian. She was everything you would want a tour guide to be when you visit a sight as spectacular as the Iguassu Falls. From being punctual when she picked me up at the hotel to her knowledge of the area and its people to her professional style, Lilian knew how to make the best use of the short time I had to explore the Brazil side of the Falls. But, most of all---and most importantly--- all was enhanced by her warmth and personality. Thank you!!!! TOUR GUIDE RESPONSE: Thank you, Tema!!! I'm so happy that you enjoyed your time in here, and I could pass this enthusiasm to you. And also hope that your next part of the trip was excellent in Buenos Aires... If someday you come back and need help, feel free to ask, and I will do my best to help you!!! Hugs from Iguassu, Lilian Regina.